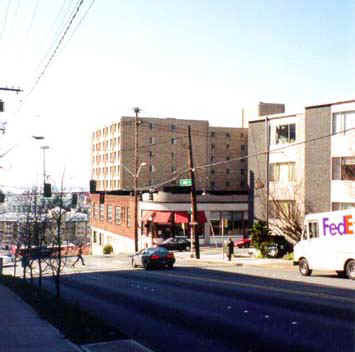 Site looking down Denny from east. 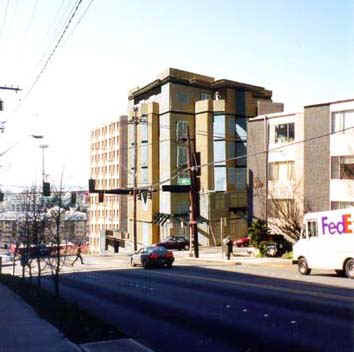 Seven story structure to be built on the corner of Bellevue and Denny Ave on Capitol Hill. The building will feature retail and office space on the first floor and three stories of residential space with decks and landscaping.